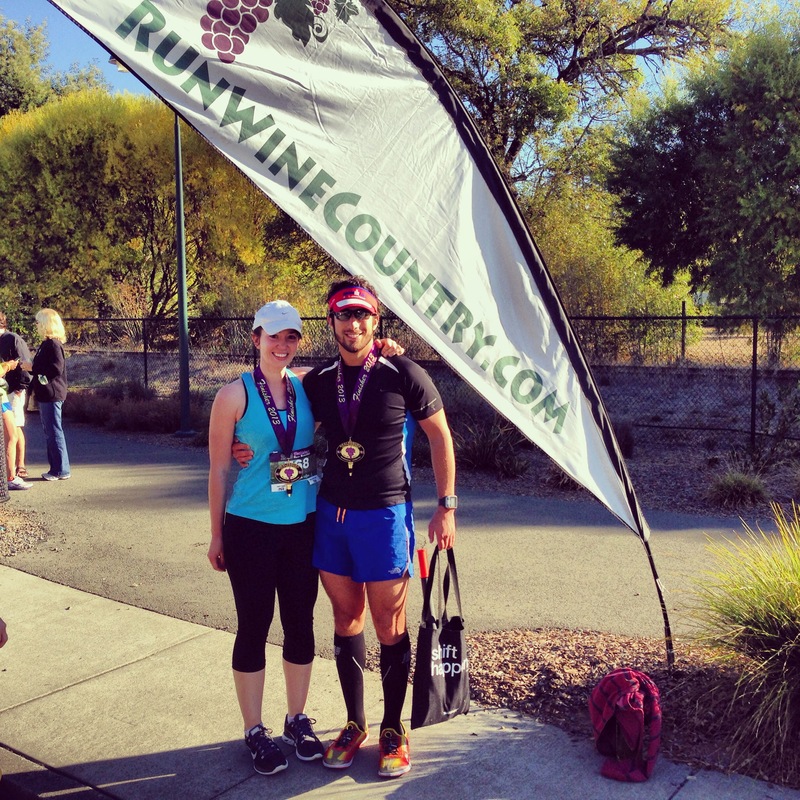 I woke up on Sunday feeling less than confident about the Healdsburg Half Marathon. I hadn’t foam rolled or stretched in days, my stomach felt queasy, and I had slept very poorly on the cheap hotel mattress. I begrudgingly dressed, ate some of a bagel, and attached my bib before Jesse drove us to the race start, where freezing (low 40s, but freezing by my standards) temperatures and a long bathroom line put a further damper on my mood. Needless to say, I was supremely cranky. When the race started, I had already decided I wasn’t going to break two hours. Between knowing a bathroom break was imminent and how terrible my body felt, I had no faith that I would meet my goal of even running a personal record. I hadn’t ran a road marathon in more than two years; my fastest had been my first in 2010 at 2:04 and the course had been practically pancake flat. The race began in the dark at 7:05. I already needed to stop to use the bathroom, so my time for the first mile was 9:30. As the sun rose, the red-orange light lit up beautiful the vineyards surrounding the country roads that served as our race course. The course featured rolling hills throughout, and I managed to hover around a nine-minute mile for every mile, save for the mile when a second bathroom break brought my sixth mile up to 10 minutes. I’ve yet to master the whole drinking out of a small paper cup while running. I was severely dehydrated during the race, only managing to splash water in the direction of my mouth, with most of the water ending up on my shirt or face. The last four miles were a bit grueling. 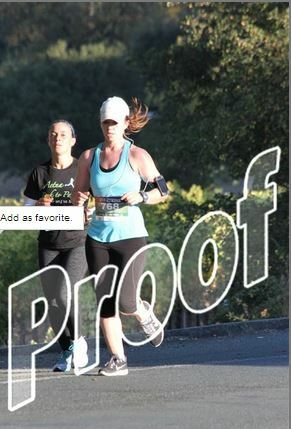 Running uphill, into the sun, on the side of a road with an uneven camber, with a screaming right hamstring, I did all I could to hold onto my pace. As I made calculations in my head, I realized I was on pace to break two hours, despite my bad attitude. The last mile was kindly downhill. Feeling one last burst of energy, I gave the race all I had and crossed the finish line in 1:59:11. Jesse, being the speed demon he is, had already eaten and cooled down and could have probably ran another half marathon in his PR-smashing 1:37. We spent the rest of the day eating Vietnamese food, drinking beer and wine, and eating candy before heading back to San Francisco. Next goal? Break 1:55. Jesse and I at the finish line. Congrats on breaking both of your records! And what a great photo, I usually look like death in all of mine! Thank you! 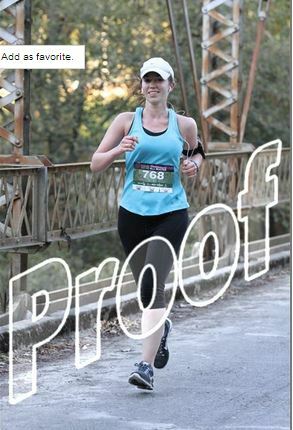 Trust me, I have my share of frightening race photos!